What is the purpose of Travel? People often ask us questions like how can we afford travel? 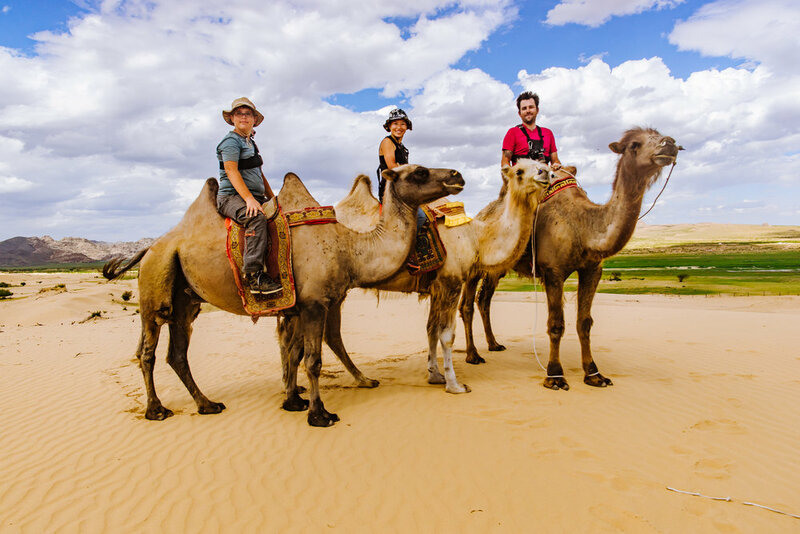 Why didn't we book our journey from tour company, choosing riding the bikes across Mongolia instead? Why we didn't stay at hotel but camping in the public park near Metro Station, pavilion, and elementary school in Taiwan? Why we rent the car driving around Europe instead of riding the train and staying at hotel. Why we didn't go to the restaurant but buying groceries from supermarket and cooking ourselves every meal? For us, travel is an adventure. It is a way of life. We sell and give up everything we can in order to travel. We live in a very little budget. We have to eat lots of instant ramen and camp for free in order to keep this journey going forward. We want to experience the culture in depth. We want to see the place that tourists wouldn't see. We want to go the farmers market where locals buy their food. We want to sit down and share meal and drink with local people. We want to see the truth, the whole picture of the country. Travel is not all about pleasure. Mostly it is uncomfortable. We put ourselves into a new environment with different culture and people don't share same language with us. We have to step out of our comfort zone, giving up our ego to learn from what we have seen and what we have experienced. We have to deal with fear, insecure, doubt, physical exhaustion, frustration, fury, tears, feeling betrayed, and discouraged. Sometimes, it is hard to not letting others change who we are when we were taken advantage of. It is painful to look back and reflect on our ignorance and prejudice. We grow as a better person by going through the process of reflecting the past with different insights. Travel is the process of humbling and healing. We grow as we travel. We are not running away from our life or responsibility. On the contrary, we are running into life. We are trying our best to share our experiences, acknowledging that we are the citizens of the world, and spreading the positivity to make this world a little bit better.